One of the many features that are extremely useful on Linkedin is the groups feature. Groups are similar to forums on other websites, and are categorized based on the topic the owner uses to start the group. 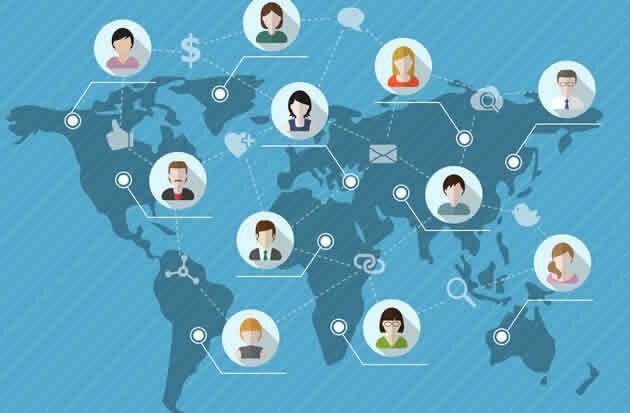 As Linkedin is a business social network, most of the groups are based on a business topic; however geography is a major categorization as well. Although there are millions of groups available on LinkedIn, you can only be a member of 50 of them at a time. Good thing, though, because engaging with 50 groups is is time consuming, especially when done right. Note: There are open groups as well and you can participate in as many of these as you are comfortable with, but again, you need to watch your time investment. Making connections – If you’ve been in business long, you already know how important your network can be. Imagine each of your groups as a networking event you can visit every week. You will meet new people, welcome visitors, enjoy talks and exchange contact info. Members lists – Each group has a members list and even if people aren’t in your network (3rd connection or greater), you can message group members or attempt connecting through the members’ list. This opens your network to thousands more possible connections and relationships. Content for curation, education, commenting and discussion – Through groups, you’ll find the blogs of other members. These posts are usually recent, and each author is eager to have more people to see it and read it. The nice thing about all of this timely content is that you’ll never lack for something to share on your profile and other social networks. Traffic – Just like the other members in your group, you probably have recent content to share as well. Linkedin groups are a great place for sharing blog content. The traffic that comes from these groups is highly targeted and business oriented. Commenting – Get more comments on your own content when you leave comments on other members’ topics. You get exposure that displays your authority, and you’ll make more connections that build your network. With a 50 group limit, there are strategic memberships to consider when choosing which groups to join. Ideally you want choose groups where your target market is active. These are the people that will benefit from your content, your feedback, and possibly become future business partners. Other groups you’ll want to consider joining are those that are functional for your business, such as content sharing groups. Groups where you can keep abreast of current events in your industry will help you find other influencers with whom it would be good to build relationships. There are also groups in your geographic location that you should join to make connections to local businesses. And finally, your past working relationships and education institutions will most likely provide groups worth joining. Activity – how many discussions and comments have members made in the last week? Size – how many people are part of the group? Remember if this is your target market, bigger is sometimes better. Rules – read these carefully, it’s best to avoid groups that ask you not to post links. Posts – can you see the posts, are they relative to your industry and recent, or are they promotional/spammy? Avoid groups with mediocre content. When you first join Linkedin, It’s tempting to jump into as many groups as you can, but please exercise some restraint. It’s a much better idea to find 5-10 at first, become active and then add more as you are ready. Each group should get weekly time in your schedule, where you visit, comment, and share. If you are already a member on Linkedin, have you joined groups? What do you like about them? If not, what is holding you back? Ask questions in our comments section below and maybe we can help you get started.